Originally published in 1955 Atmospheric Turbulence examines dynamic meteorology and the fundamental part it plays in the overall science of meteorology. 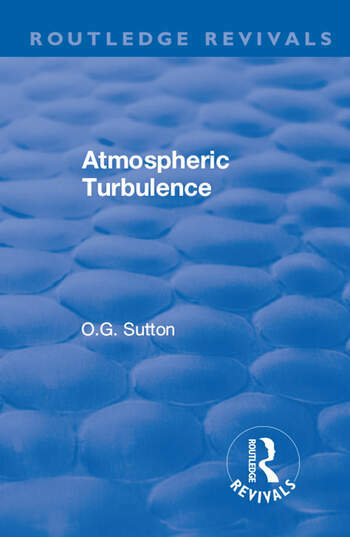 The book examines the theory of atmospheric turbulence as a more mathematically developed area than largescale motions of the atmosphere and examines its significance in economic, military and industrial spheres. The book focuses on the effect and importance of atmospheric turbulence, not only to meteorologists, but the designers of large aircraft. The book addresses the effects of turbulence and the properties of the atmosphere that can be found closer to the ground. This book will be of interest to atmospheric physicists and meteorologists.